Hello all i want to welcome you to a new Goldeneye 007 level made in DeleD by me. This level is a Super Mario Brothers level. This level take at least 2 weeks to make it so i hope you all enjoy it as much as i enjoy makeing it. Now thar is one problem in this level that i cant seem to fix. On some wall and on some floors it will have werd textures that got strech somehow and i cant not seem to fix. But thats all the problems for now if you find some more plse do tell me thank you. 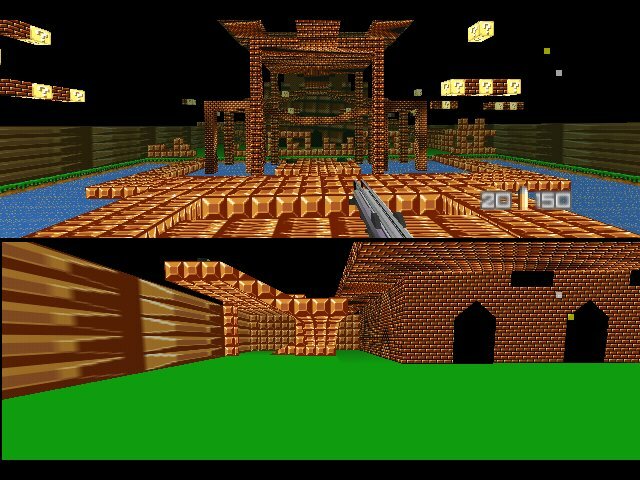 Oh and if you want to look at this level in the Goldeneye editor or DeleD. Just use the stuff in the My Stuff file. it in game in the Dam sents i use that level as a test level for the song so if you want to kill some bad guy wile hering the Mario song go ahead. And i ohmost for got.